Optimizing Technology for Benefits Administration: Your organization is growing and so are your responsibilities. A time-saving and efficient option is leveraging Benefits Administration technology. This approach offers not only robust employee support and access, but also consistent compliance, communications, and administration assistance. 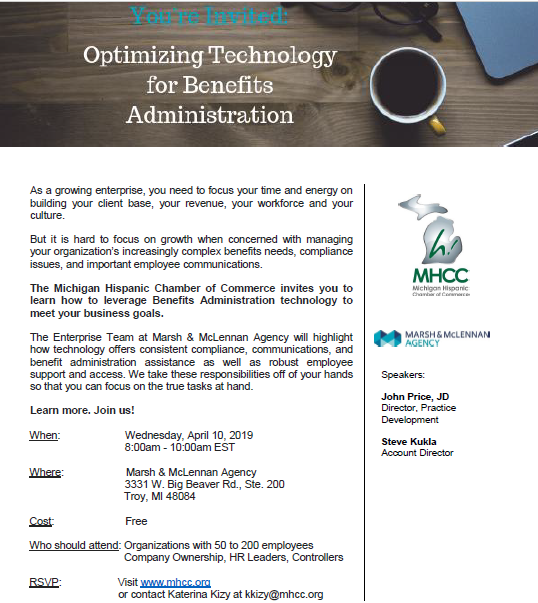 Designed specifically for organizations with 50 to 200 employees, attend this seminar to learn how to package your benefits administration in a way that makes sense for your growing needs.